Though we hate to admit it, we all do it without thinking: turn our Columbus AC higher instead of turning on a fan, or forget about the thermostat settings which are set to full-blast when we are not at home. Oftentimes it is the simple things which can have the most impact, and with saving energy this is true as well. Replace HVAC filters regularly, according to manufacturer’s specifications. To save energy also means to save money, and by following any of the simple steps listed above the average consumer can save energy and save money almost immediately. 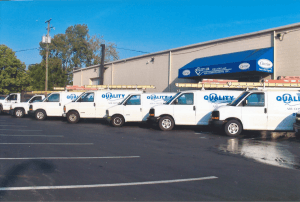 For more information about how to best utilize your Columbus air conditioning system, give Quality Air Heating and Air Conditioning a call today!